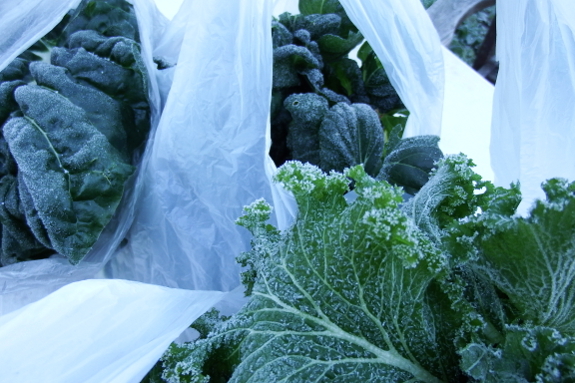 Mustard, Swiss chard, and kale freeze all the time in the garden. They thaw out and keep on growing. But what happens if you pick frozen leaves and bring them into the kitchen to cook later? Answer: The greens turn into goo. Edible if cooked right away, but not really up to snuff. Moral: Pick your Thanksgiving greens now and put them in the fridge for tomorrow's feast!